MelanieBolke | Lead. Inspire. Create. Melanie Bolke is an executive communication coach, leadership consultant, speaker, and writer who consistently receives top marks for her ability to illustrate concepts through relevant examples and stories as well as her inclusive approach. She is also an adjunct faculty member with the University of Texas Executive Education program. Given her passion for teaching and coaching, it’s not surprising to find Melanie working with a team of executives at a Fortune 500 company and speaking to an auditorium filled with college students on the same day. Melanie’s specialty is working with high-potential leaders to market their personal brand and develop their executive communication and influencing skills. She has also created and delivered a wide variety of professional and leadership development programs for all levels of management, including: motivation, communication skills, presentation skills, performance management, talent management, change management, and interviewing skills. 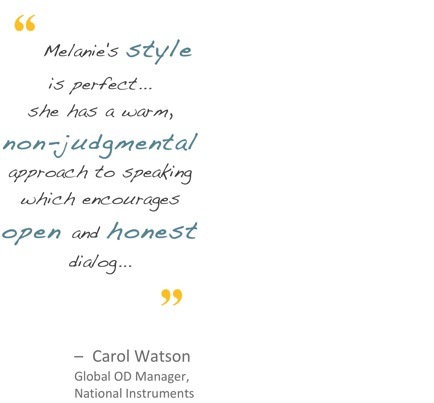 For more ways Melanie can help your organization, view Services. 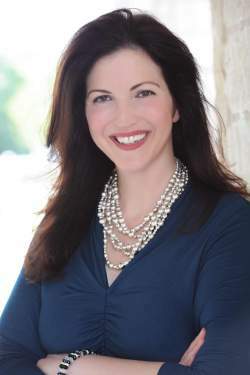 With more than 15 years’ experience in sales, management and leadership development, Melanie’s professional career includes leadership roles at Dell, Inc. and LBJ Broadcasting. Prior to launching her speaking and coaching business, she was responsible for the Leadership training function and Learning Operations for Dell’s Americas Business Unit, representing approximately 60% of the company’s global revenue. Melanie’s formal education in Communication and thirst for learning, combined with her professional experience and ability to recognize talent in others, provides the right recipe for successful coaching of high-potential leaders. She travels internationally to influence these leaders to make a difference in themselves, their employees, their organizations and their communities. She also spends her time equipping students from middle school to college age by sharing life lessons with them through her speaking and writing. Melanie is Six-Sigma certified and regularly gives to the community through volunteer service, including her participation on teams that have provided humanitarian outreach in Mexico and Asia.